I wasn’t good in 2017, but 2018 is my time. These were the words of Genzebe Dibaba after she successfully defended her women’s 3000m title in what could be described as one of the best events of this year’s IAAF World Indoor Championships Birmingham 2018. Dibaba’s defence of title was against a baker’s dozen of other women in an impressive field that included world 5000m champion Hellen Obiri, 2016 world indoor 1500m champion Siffan Hassan and two-times European indoor world champion Laura Muir. And this is but naming a few. Dibaba, who is from Ethiopia and is the holder of many a world record, inside and out, instinctively knew that this was going to be race that was all about winning a medal, leave alone breaking any world records. Initially it was Laura Muir and team-mate Eilish McColgan who took the early lead, albeit notably reluctantly. The early leaders completed their first lap in 36 seconds, crossing the 800m mark in 2:35.76. By that particular point in the race Obiri was occupying second place and Konstanze Klosterhalfen from Germany had moved into third place. Klosterhalfen proceeded to make her way into the lead just before the first kilometre drew to a close and this strung out the rest of the field. Ditaba however, seemed to keep her cool, moving into second place just behind the German national and race leader a mere half a lap later. Team-mate Fanku Worku moved up along with Dibaba and levelled out next to Muir, running shoulder to shoulder with the British national. Just before the halfway mark, which was to be had at a stunning time of 4:42, Obiri and Meraf Bahta (Sweden) proceeded once more towards the front of the pack, but with Klosterhalfen all the while still in the lead. Then, suddenly, with 1000 metres remaining, Ditaba swiftly proceeded to the front of the group and into the lead. Klosterhalfen was now in second place. Hassan too, had now begun to pick up the pace and together with Muir, at one point appeared to be closing in on Dibaba. 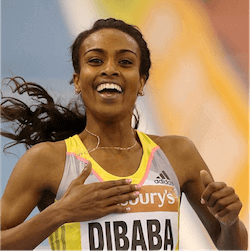 However, it soon became clear that their break-away had not been planned with quite enough care to successfully chase down Ditaba, and Ditaba was well away and crossed the finish line in first place, claiming her third successive world 3000m indoor title. For some it had been a race to remember, for some a race to forget. Lisa Adams has surpassed the Women’s Para Shot Put World Record for the second time in just three weeks, but this time she’ll be celebrating her achievement with an entry into the record books! 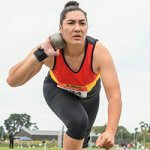 Adams pitched an impressive 14.52 metres in the F37 event she was participating in at the …. Snow sports in New Zealand and are enjoying a gilded age in terms of success and overall popularity. 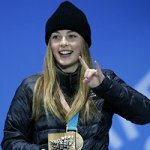 Freestyle snowboarder Zoi Sadowski-Synnott, who specialises in big air competitions and slopestyle, has been one of the country’s brightest stars. She took home a bronze medal in the PyeongChang Olympics last year …. 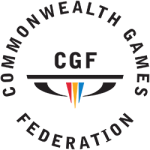 In the wake of a cricket scandal that just seems to go from bad to worse, Australia is hoping that the Commonwealth Games at the Gold Coast will restore the reputation of the country and of those who put sport first, and don’t bring it in to disrepute. The Commonwealth …. The Pyeongchang 2018 Winter Paralympic Games is already breaking records, with the number of ticket sales exceeding expectations. A record breaking 320,000+ tickets have already been sold, and this number is set to rise as the games wrap up. 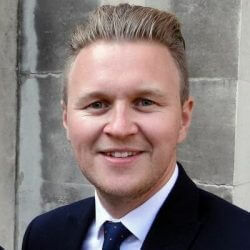 A massive influx of overseas visitors has also been reported and …. 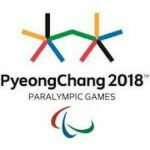 2018 Winter Paralympics Kicks Off The 2018 Winter Paralympics kick off in PyeongChang soon and despite the wide coverage enjoyed by the able-bodied Winter Olympics, there is still much to be said for general information and education not being what it should be when it comes to the Paralympics. We ….